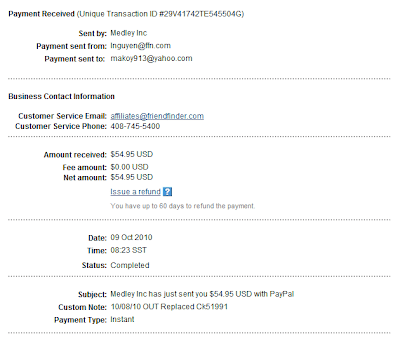 I have finally received my first payout from Friend Finder. I was surprised that when I logged in to my affiliate account it says that they have already sent the check. When I checked my account details, I noticed that I typed wrongly my address. 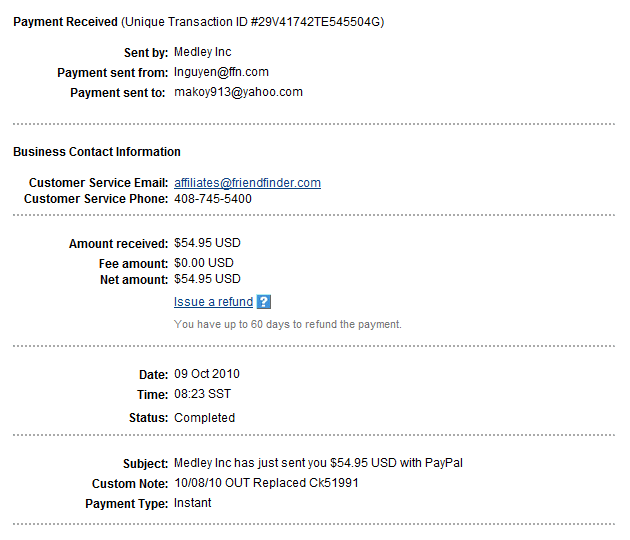 Thank God they now have Paypal as one of the means of sending payout money. Thanks Friend Finder for my first $54.95!